As summer winds down, Westporters snag as much beach time as they can. Yesterday evening was a perfect time to sit, relax, and enjoy the sunset. Alert “06880” reader Elise Russi wishes one couple that did had parked somewhere else. “Just try maneuvering a 22-foot long surf ski around a BMW, and you’ll understand why this is getting old,” she says. 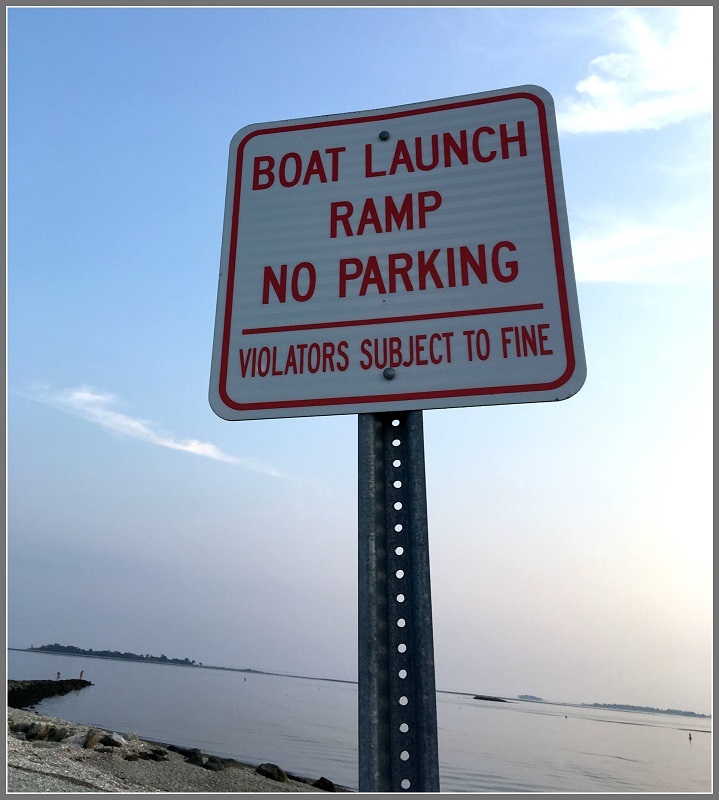 That’s because, she says, boaters are required to launch from the ramp only, to avoid interfering with beachgoers or swimmers. This entry was posted in Beach, Transportation and tagged Compo Beach, Entitled parking. Bookmark the permalink. So glad you’re showing the license plates now. Thanks for posting this! This was indeed one of the issues that was noted when we started Friends of Compo Beach – – people parking on the boat ramps. This is why police enforcement of parking rules continues to be necessary. People will do things like this until they pay a financial penalty. I don’t understand why the police can’t send them a fine seeing as how there is proof that they are breaking the rules…I mean with a photo, how much more proof do you need? Not sure if you all have the cameras at the traffic signals, but in Ca. 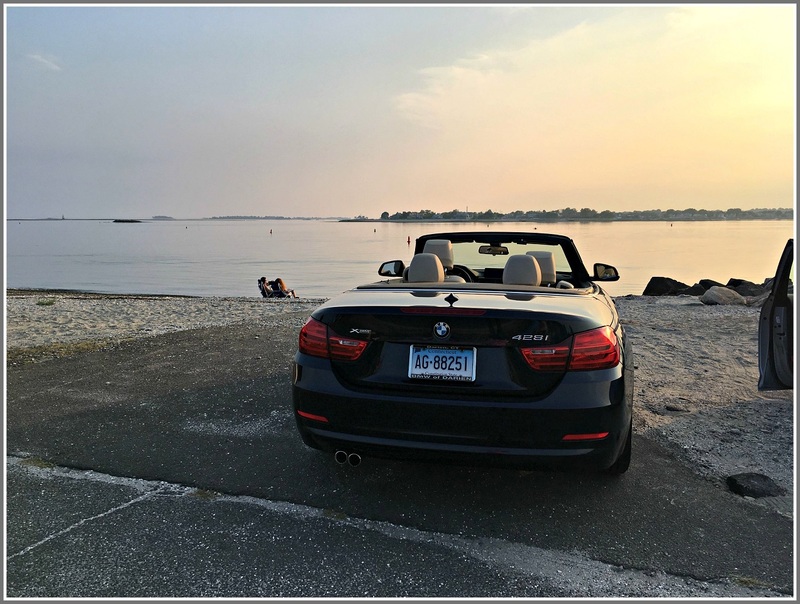 if you don’t have your seatbelt on, or go through a red light, you get a fine in the mail…The Westport Police should pay attention to Dan’s blog! Why aren’t these cars towed and impounded? Let’s stop the whining and enforce laws around here. Or how about this. Let’s stop printing up all these signs around town that say ‘no parking’ and that make hollow threats of fines and towing, and send this saved money back to Westport taxpayers. And I don’t care if it’s only a nickel! I agree with all above. They should be called out by the police. The proof is in the pudding. Hopefully more people will understand why the boat ramp is needed for boaters, not cars. There were plenty of spaces last night. Lots of folks like to kayak or take small boats out late afternoon or evening after work. On behalf of these boaters, thank you! Saw 2 young woman having wine about 10 feet away.., beach was empty and plenty of parking! Rules apply to everyone but me attitude . I was wondering what a 22′ long “Surf Ski” was so I googled it. Wow that looks like a ton of fun! As an avid SUP’er (14′ x 26″ carbon) I can appreciate the agility needed to handle one of these in the surf, not to mention dealing with wind gusts when taking the Ski from the water to the car. Yes, surf skis are lots of fun! They are much longer, narrower, lighter, tippier, and faster than a typical kayak. Takes a lot of skill, but it’s good exercise and you can paddle out to all the Westport and Norwalk Islands and back. Check out Ocean Sports East and/or demo one in the Greenwich area. It is endemic of the times and our area. Does anyone stop for red lights anymore? It’s pitiful and speaks volumes about what some of us have become. It’s boorish and unseemly behavior. Are we all children that we cannot expect people to follow a simple request of a posted sign without expecting Big Brother hovering around to catch them in the act? It’s ridiculous and those who do it are ridiculous – and so exhausting. Can we just be more gracious? Is it time to ask Westport’s Chief of Police, Foti Koskinas, to weigh in? AND that little ramp is not designed to withstand the weight of cars. It’s like one inch thick asphalt. Strictly for small boat hand trailers. I was there last night near the BMW,,,,there was at least 150 feet of empty (legal) parking space to the left of the boat ramp. Too bad these two nimrods remembered to set the parking brake. Pop the parking break and give it a nudge from behind…. Public shaming may help with some offenders (let’s keep it up! ), but repeated fines are the only way some people will get the message. Lived in town 26 years now and seen it all. I think “some people” simply don’t understand how their behavior impacts others for whatever reason(s). Rather than publishing a photo of the car & license plate on social media either a polite note on the windshield or a call to the police to ticket the car is a more effective and less confrontational approach. Who is it, in positions of authority in Westport, that thinks more signs are the answer to people doing the right thing at Compo Beach & Longshore Park? Please Westport, we need to make this a real issue of this, and get them realize their strategy of more signs everywhere is not working; that they are quickly destroying the beauty of these most important places in town. Whoever it is, they have turned our once beautiful parks, in just a couple of years into what one might expect to see in the inner-city. The solution is simple. When you sell an out of town day-pass, provide a parking map /rules card and tell them where to park. Not install 32 blasted signs which become forever visual trash for 3/4 of the year. If out-of-towner don’t park where they should, fine them so they remember. Ask yourself, how often you see people with glass on the beach? There are 18 signs currently that say it’s prohibited. The current strategy is to install another 18 signs. Hello? Your signs, all of them, are being ignored. Please put the town’s resources into enforcing the rules of one sign. The 319 signs in our Beach are and Longshore were put there by people who either don’t live in town or don’t care. To remove 30% of the signs could be done in a day. Bad human behavior will change with enforcement, warnings and fines. We all know there will be another car, or perhaps this very same car parked on the boat ramp today, and 3 more signs won’t change it. Please Call the First Selectmen’s office & the Recreation Department and tell them you’ve had enough with spoiling our once beautiful beach and Longshore Park areas with their failed, over used signs campaign. The DPW needs to spray a ‘box’ with lines to clearly show this is not a parking spot. However, the only issue is that we’d have to come up with a paint color that is ‘not offensive’. With that in mind, this simple solution will take approx. 2 years to complete.